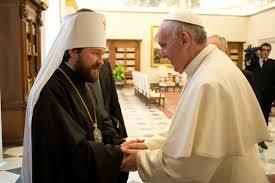 On 10 November 2014, Metropolitan Hilarion of Volokolamsk, chairman of the Moscow Patriarchate’s Department for External Church Relations, completed his visit to the United States. 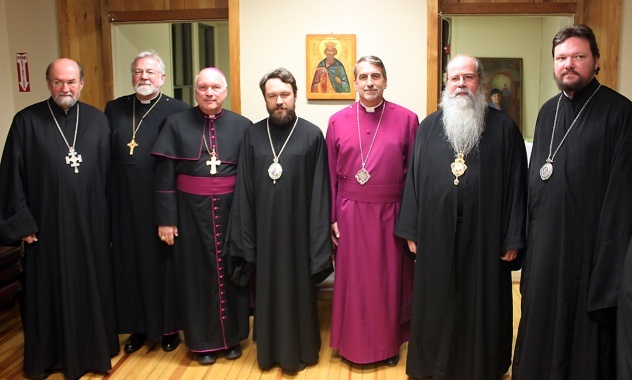 On November 8, the DECR chairman met at St Vladimir’s Orthodox Seminary with Dr. Foley Beach, Primate and Archbishop of the Anglican Church in North America. Taking part in the meeting were His Beatitude Tikhon, Archbishop of Washington, Metropolitan of North America and Canada, Primate of the Orthodox Church in America; Bishop John of Naro-Fominsk, Administrator of the Moscow Patriarchate’s parishes in the USA; protopresbyter John Jillians, Chancellor of the Orthodox Church in America; archpriest John Behr, Dean of St Vladimir’s Seminary; archpriest Chad Hatfield, Chancellor of St Vladimir’s Seminary; and Bishops Ray Sutton and Kevin Allen of the Anglican Church in America. The participants in the meeting discussed prospects of cooperation between the Russian Orthodox Church and the Anglican Church in America.